I am Ramesh Padmanabhan. I lead a very active life with sports, hiking, running and biking being an integral part of my life in California in the USA. I have a back injury that has steadily become worse over the years. By 2015, I had reached a point where I was in constant pain, could not walk with a straight back and could not walk or sit for more than 20 minutes at a stretch. The slightest unexpected movement of the back would cause sharp spasms in my lower back. That was when I was introduced to Dr. Arul by a very close friend. Dr. Arul looked at my medical records, examined me and recommended that I get Ozone treatment and PRP for my back. I had not heard of either of the treatments before, but decided to go ahead since I had tried every other alternate short of surgery to repair my back with no positive results. The treatment worked like a charm. Within 4 weeks I was walking straight again. I was hardly in any pain. Within 8 weeks I was able to comfortably do 4- 5 mile hikes and in 4 months was able to even run a couple of miles. It has now been a year since I took the shots and I am back to almost all of the activities that I was used to doing. In addition to the shots, Dr. Arul recommended some supplements and advised me on some activities to start doing and some activities to avoid, some foods to include and some to exclude. The holistic treatment that I got with no risk of side effects and the life style advise and counseling has made a huge difference to the quality of life for me. 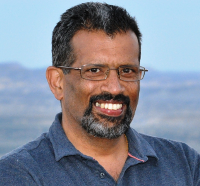 I would strongly recommend Dr. Arul to anyone looking for relief from pain and for anyone looking for expert advise on making life style changes. 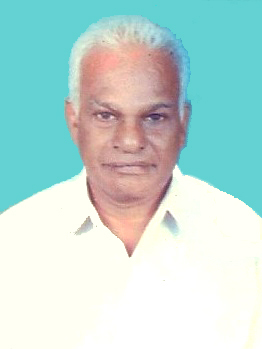 I am K.SELLIAH, aged 73, and was suffering with knee pain due to ageing for more than 15years. I use to take pain killer tablet very often. Due to those tablets I started to face renal problem from April 2014. Initially I was consulting with my family doctor. He asked me to get hospitalized for couple of days. They took entire test. Finally they found that my creatinine level was 3.1 and isn’t within the limit I was advised by one of my friend about Medical Ozone therapy. Since then I consulted Dr Arul and started to follow the Medical Ozone treatment. Within few weeks I was able to find the difference in my health condition. But after five months, my creatinine level came to its limit.. I am still following the procedure advised by Dr Arul to keep up my body in a healthy way. I was diagnosed with kidney problem and met Dr. Arul. He suspected problem in the heart and when tested, found three blocks in the heart. I have been undergoing Ozone therapy, chelation and ECP, a natural bypass technique, for few months. I feel so normal and I have been to Sabarimala twice without facing any problem. Much to everyone's surprise, my creatinine level has come down from 1.5 mg/dl to 0.74, unimaginable with mainstream medicine. Thanks to nulife wellness centre, I am completely normal now. When I found out about Dr. Arul’s Ozone treatment after being diagnosed with COPD and everything conventional medicine made me feel worse rather than better I was skeptical. After the first treatment for the first time in month I was able to breathe without pain in my lungs. After 20 treatments my lung capacity had increased up to 95%. I still go regularly since literally to me it’s almost like the fountain of youth. Listen to the experience of undergoing the magic of Ozone Therapy as described by a patient at Nulife Wellness Centre. © Copyright 2015. All Rights Reserved by Nu Life, Chennai.